Oklee Walking and playing again after therapy for his spinal injury. ARFIT therapy has helped Max so much. I took Max after I had taken him to the vet. He wasn’t able to move his back legs. The vet had suggested surgery but, with Max’s heart murmur, I needed to find an alternative. That when I called ARFIT. 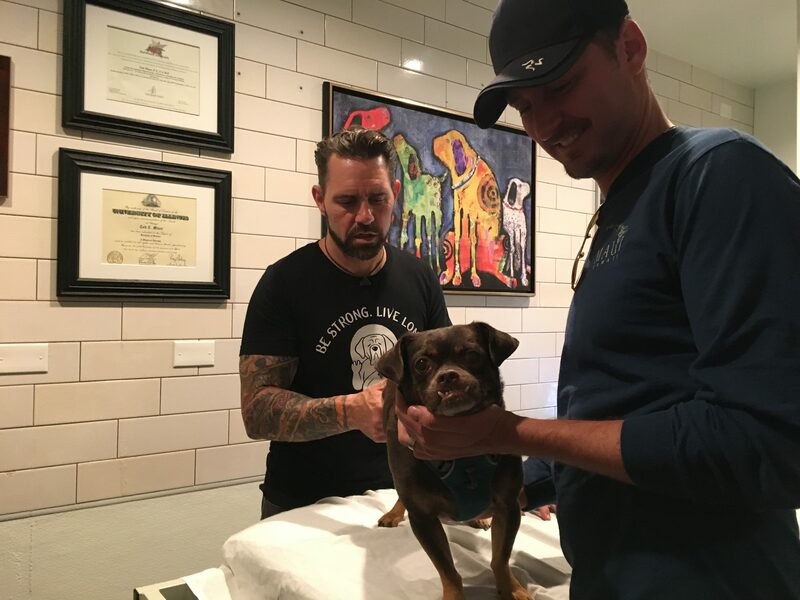 When I brought Max in, Tod told us what was going on and gave us hope that Max was going to walk again. After a couple of sessions, I saw a difference in Max. He was standing and giving a few steps. Now Max is no longer dragging himself. He is walking and running around. He is so much happier. I’m very grateful that Tod didn’t give up on Max, and that he is walking again. 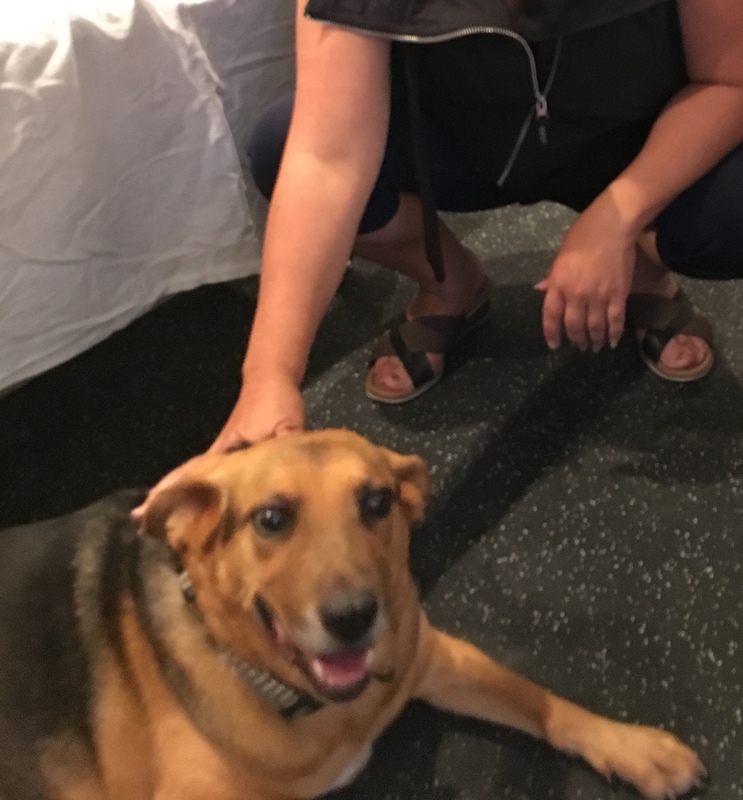 What a wonderful rehab service for beloved pets! The care is grounded in good science, is individualized and compassionate. No “one rehab fits all” approach at Arfit like you see in many places. Tod takes a personal interest and continually evaluates progress and refines interventions to meet goals. I went to Arfit when my little 10 year old pug was slipping on her hind leg and my vet recommended Arfit. Tod was immediately responsive to my call and started my sweet dog on a quick road to recovery. He did a comprehensive evaluation and prescribed a course of therapy that has solved the problem. She became more limber, slipping stopped and she started playing like she was a puppy again. I can’t say enough about the excellent, individualized care we’ve received. 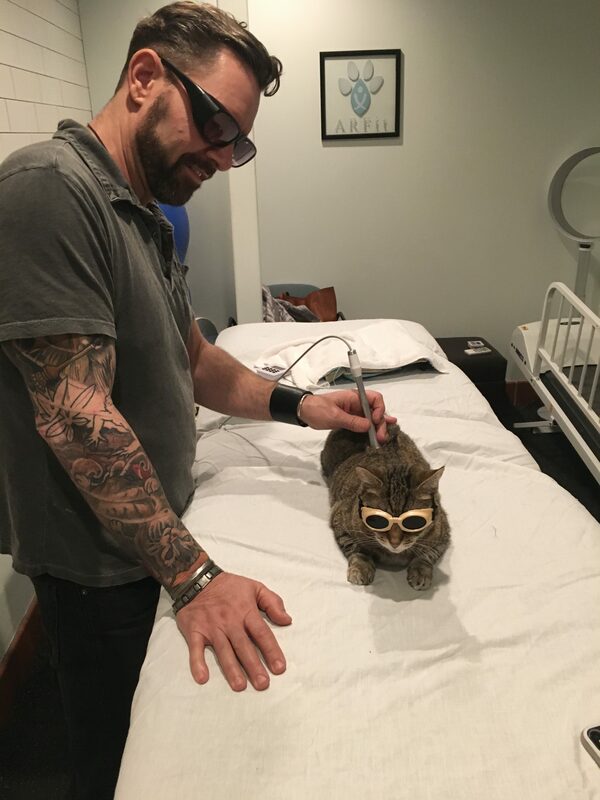 Tod’s extensive years of experience as a licensed human physical therapist is an invaluable background for working with beloved pets. He carefully thinks through anatomy and physiology and plans rehab that will be effective in solving the problem. And my very shy pug adores Tod! I am very grateful we found Arfit and highly recommend this to anyone with a pet needing rehab. Thanks Tod! 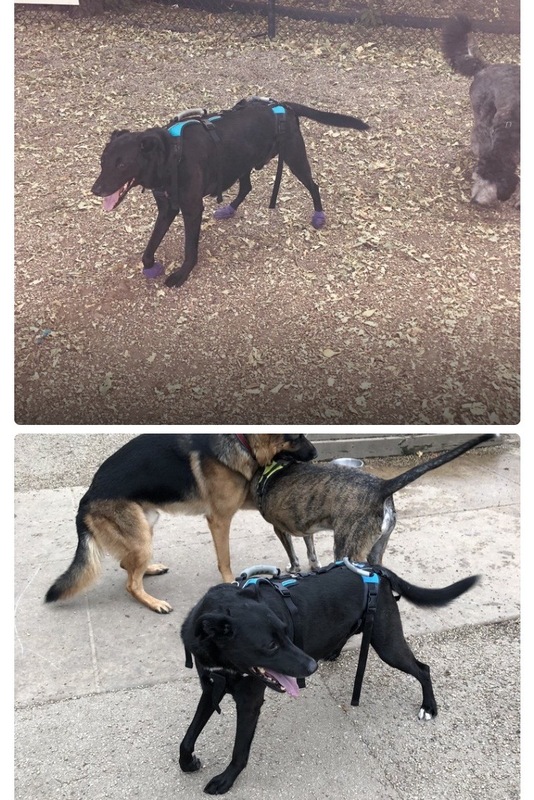 ried and unique exercises along with dry needling and laser therapy has helped Baxter get stronger and more confident using his back legs. I really appreciate the attention Tod gives and his patience working with my stubborn dog. I have been taking Lakshmi, my 15 yr old kitty to see Tod for over 6 months. She has arthritis due to pain caused by a rod in her rear left leg from an old injury. Lakshmi has always traveled w me so putting her in her carrier and in the car is not an issue. She will allow Tod to use heat and laser, apply needles and manipulate through massage, but needs me to sit with her and support her. She does complain, especially when she is tight and in pain, but once Tod gets deep into her spots she settles down and enjoys it because she feels better. You can see her body relax. I have noticed the benefits of consistent PT w Tod, as she is happier and in less pain at home. Tods approach is gentle and firm. He understands cats’ body language, is intuitive, and respects how far Lakshmi can go. I appreciate everything he has done to help my Lakshmi and cannot recomend him enough! We found Tod through a series of unfortunate events with our 12 year old dog. He had recently experienced a seizure caused from extreme back pain. To top it off he had shaky back legs attributed from age and atrophy. By chance I saw Tod’s brochure at our vets office and decided schedule a consultation. I’m glad I did. After about two months our dog is now running around like a puppy. I’m convinced that Tod has added quality years to our dog’s life. 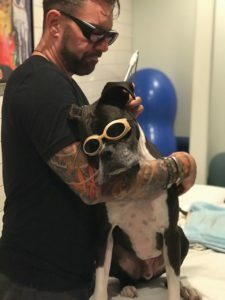 Arfit Dog Therapy and Tod Miner are a godsend and helped treat my 9 y/o male boxer, Cole, who was suffering from a very bad case of Vestibular Disease. Cole’s balance was so bad that he could hardly walk. Arfit prescribed a course of therapy, with at-home exercises, and after a few months of therapy, Cole is back to normal!! Cole loved his treatments and Tod was so patient and kind! 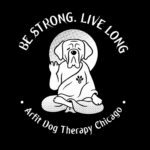 I highly recommend Arfit Dog Therapy Chicago!!! Our dog with diagnosed with a partially torn acl, and he received laser treatments elsewhere for 6 months straight with little improvements, in which we traveled 30 minutes for the treatment. 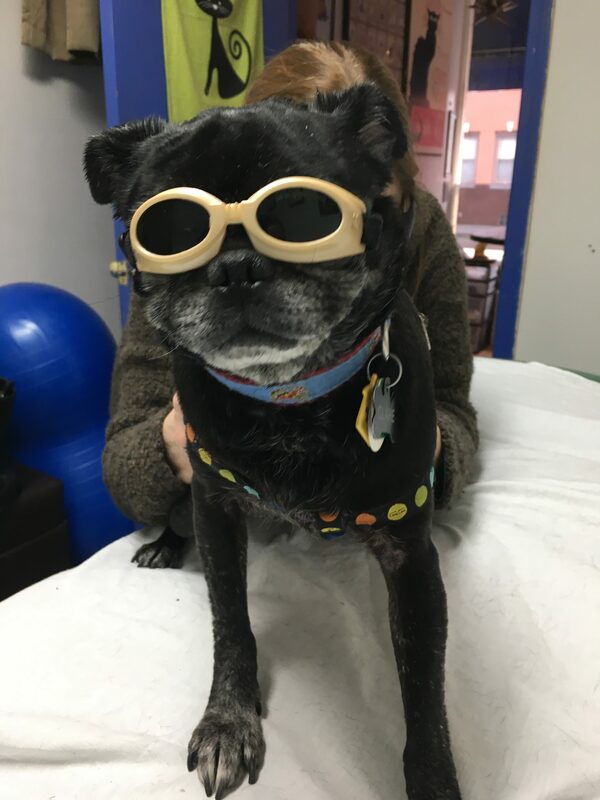 While walking through my neighborhood, I saw Arfit in a local pet store and asked about getting our dog the laser treatment closer to home. During my first conversation with Tod at Arfit, I realized how much more I could offer my dog in terms of treatment. I had no idea! Tod gave us a treatment plan of not only laser, but treadmill with weights, massage and acupuncture. PLUS, he told us that there IS an end point in his treatment, which we never thought was going to happen before! Within the first couple of weeks going to Arfit, we noticed significant improvements in our dog, in which with just laser for 6 months, we saw very little! 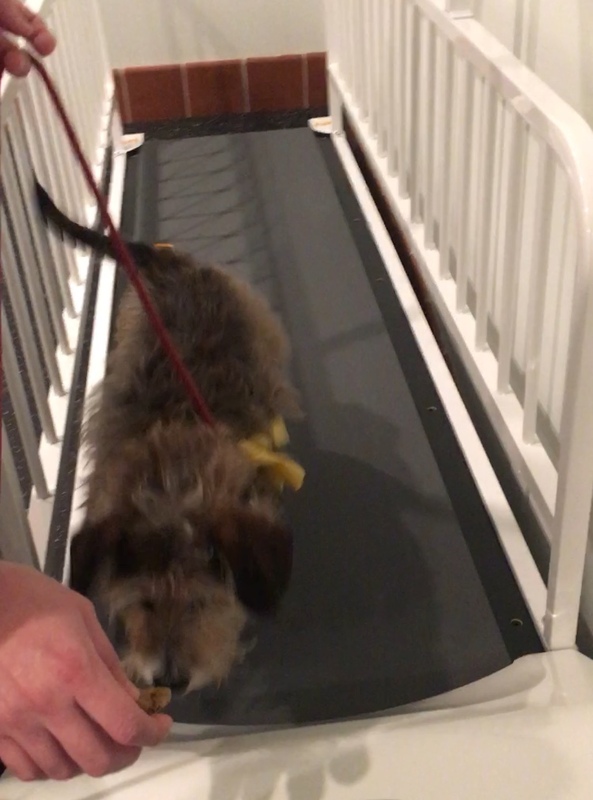 Our dog is getting back to his pre-tear activity level, and we couldn’t be happier! 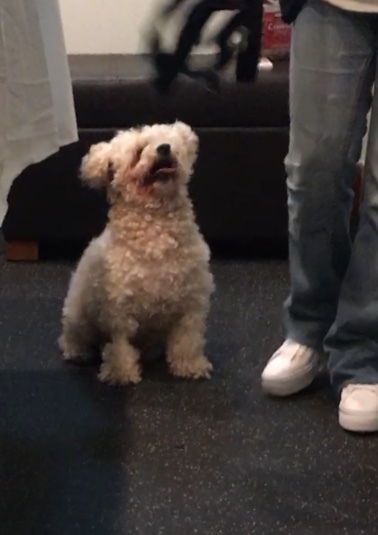 Our dog seems like he is dealing with less pain, more movement, and happier….. Amazing! Plus, Tod is so good to our dog! Our dog was never happy to go to the vet, but gives Tod so many kisses every time he goes to treatment! Thank you Tod for all your hard work and love! 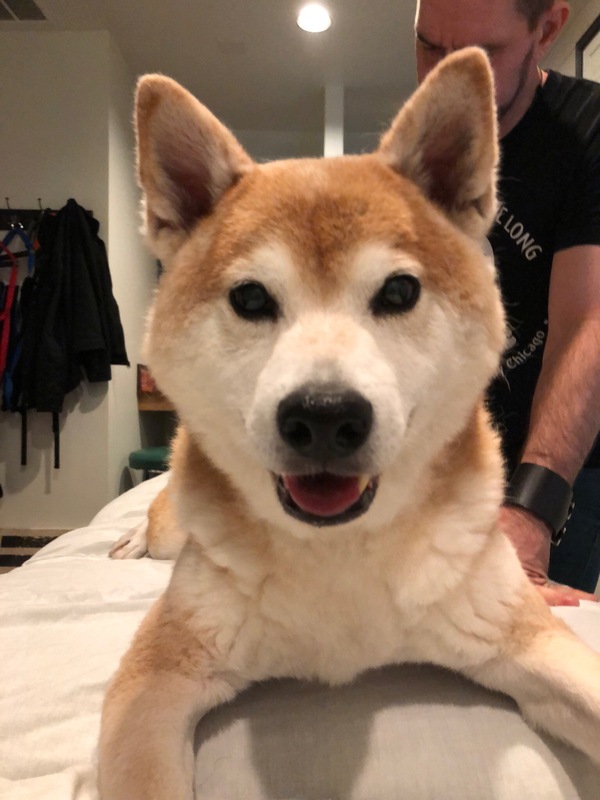 We are so happy to see our pup happy and healthy again!